The OB Clinic is for pregnant patients of the Centre for Family Medicine who wish a family doctor to deliver their baby. 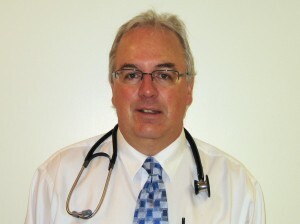 Dr. Brian Finn has been a part of the CFFM since it was created. He has been delivering babies for almost 30 years. As a family doctor within your Family Health Team, Dr. Finn can provide enhanced prenatal care for you and your family. OB Clinic team members include Dr. Finn, Medical Office Assistant Tracy, Family Medicine Residents, Registered Dietitian Marg and nurses. Social Work referrals are available. The OB Clinic is located at the Integrated Health Building, 10B Victoria Street South in Kitchener and runs every Thursday morning. Call Tracy at 519-656-2220 for an appointment.